Led by MIT mom Colleen, this is a weekly group for parents-to-be and parents of infants to crawlers to share information and support each other. 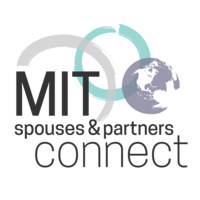 This group is sponsored by the Office of Graduate Education and MIT Spouses & Partners Connect, a dedicated network for the significant others of MIT students, postdocs, staff and faculty who have relocated to the Boston area. We organize activities that help you meet people, discover work and career opportunities, improve your English, share experiences and passions, and get information about living and parenting in Boston.